Don’t let its size fool you. 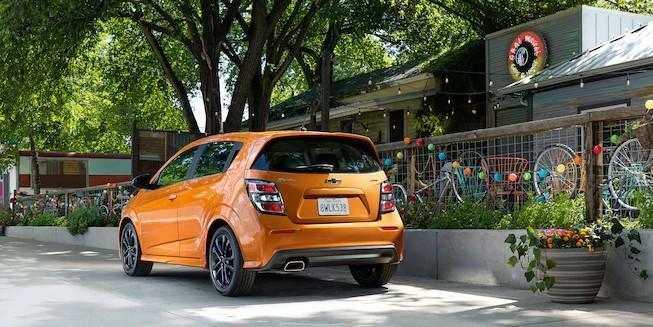 The 2019 Sonic is a small car that’s prizeworthy for its remarkable fuel efficiency,† eye-catching styling and advanced technology. 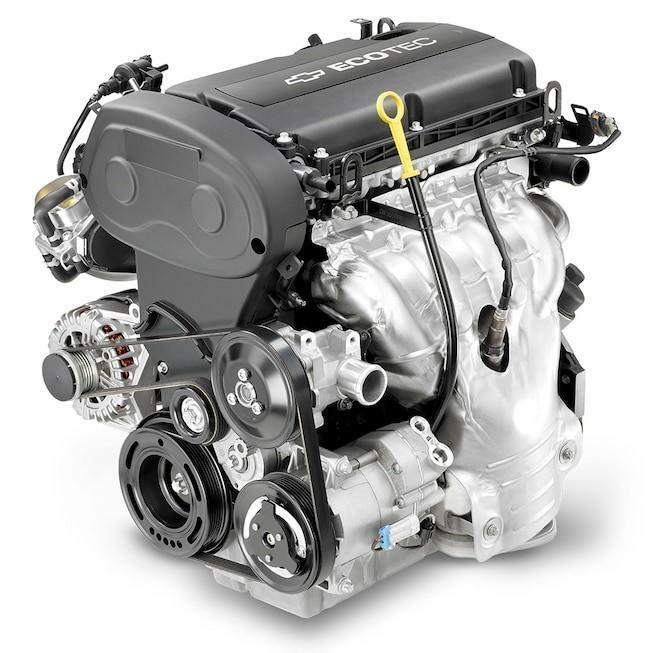 Plus, with its standard ECOTEC® 1.4L turbocharged engine and nimble character, you’re in for a thrilling ride. If you unintentionally change lanes without using a turn signal, this available camera -based system can send an alert. The camera, mounted near the inside rearview mirror. reads traffic lane markings when identifiable and provides audible and visual alerts. Using ultrasonic sensors, available Rear Park Assist can sense stationary objects when in Reverse and warn you if an object is too close. Offering up to 38 MPG highway,† the standard 1.4L turbocharged engine and available 6-speed manual transmission help you squeeze all the fun you can get out of every mile. 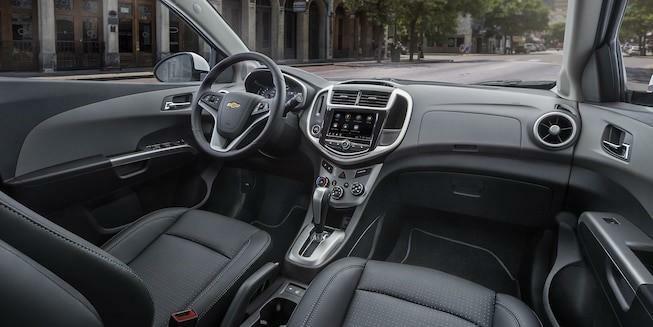 1-month trial of Chevrolet connected services, 1-month of OnStar® Safety & Security Plan coverage, and 1-month or 3GB of 4G LTE W-Fi® Hotspot data (whichever comes first)†. † EPA estimate for Sonic Sedan with available 6-speed manual transmission. † Always use seat belts and child restraints. Children are safer when properly secured in a rear seat in the appropriate child restraint. See your vehicle Owner’s Manual for more information. † EPA-estimated MPG city/highway: Sonic Sedan with 6-speed manual transmission 27/38; with 6-speed automatic transmission 26/34; Sonic Hatchback with 6-speed manual transmission 26/35; with 6-speed automatic transmission 26/34. † Vehicle user interface is a product of Google and its terms and privacy statements apply. Requires the Android Auto app on Google Play and an Android compatible smartphone running Android 5.0 Lollipop or higher and data plan rates apply. Android, Android Auto, Google, Google Play and other marks are trademarks of Google Inc.
† Available Built-in 4G LTE Wi-Fi® hotspot† - Service varies with conditions and location. Requires active OnStar service and paid AT&T data plan. Visit onstar.com for details and limitations. † Requires a compatible mobile device, active OnStar service and data plan. 4G LTE service available in select markets. Visit onstar.com for coverage map, details and system limitations. Vehicle must be started or in accessory model.